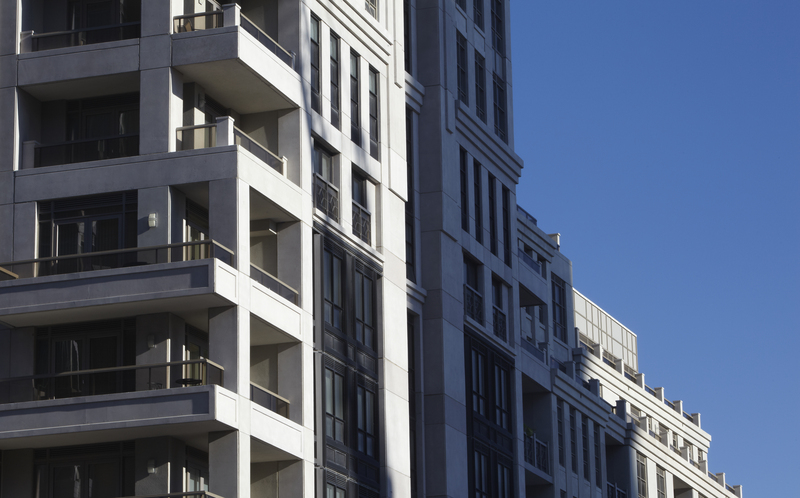 The prestigious Yorkville area of Toronto demanded a condominium development that preserved the luxurious feeling of neighbourhood’s high-end retail area, while blending into the lower scale residential district. 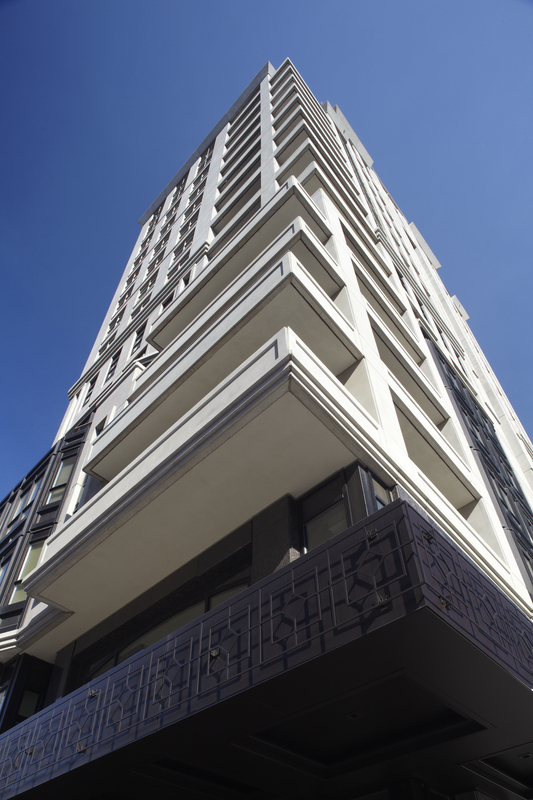 Located on Bay Street between Yorkville Avenue and Scollard Street, this elegant project offers street level retail and 57 residential suites ranging from 1200 to 6000 sf. The architectural reference was the mosaic of limestone façades in New York City, reflecting the cosmopolitan nature of it’s intersection. Turner Fleischer’s vision reduced the full-block scale of the site into three different facades, each with its own distinct yet complementary signature and colour. 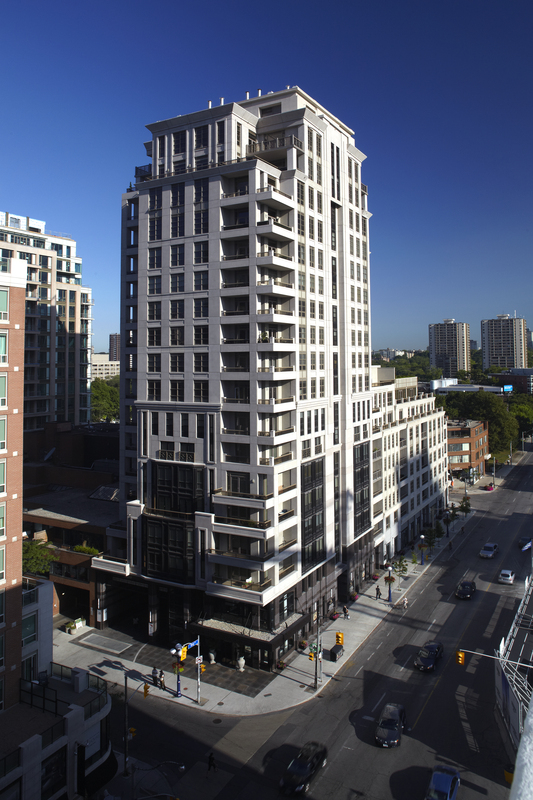 The composition contains a symmetrical 18-storey skyscraper, a slightly lower transitional building, and a terraced structure that descends from eight storeys on Bay Street to three storeys, matching the traditional three-storey house forms of Scollard Street. The resulting final project is a dynamic example of how progress and context can be fused to create new icons for a neighbourhood.